On the last episode of Let Aphreedom Reign, Canadian Cannabis producer Aphria (TSE:APHA)(NYSE:APHA) was in crisis mode, trying to manage the fallout from a successful short attack. A hasty promise by CEO Vic Neufeld to publish a “line-by-line rebuttal” to a value-destroying research report had taken root in the collective consciousness of a street anxious to learn that the multi-billion dollar haircut the company had just taken was all a bad dream. Since then, Aph has kept itself in the news with everything but a response to that short attack. They appointed Irwin Simon, former CEO of organic foods company Hain Celestial as an independent Chairman, and put him on a media tour to talk about what a great medicine cannabis is, the importance of distribution, an unsolicited takeover bid (kind of…), and generally everything BUT the response to Hindenburg that the street was waiting on. Green Growth could become a strategic partner for Aphria, says Irwin Simon from CNBC. 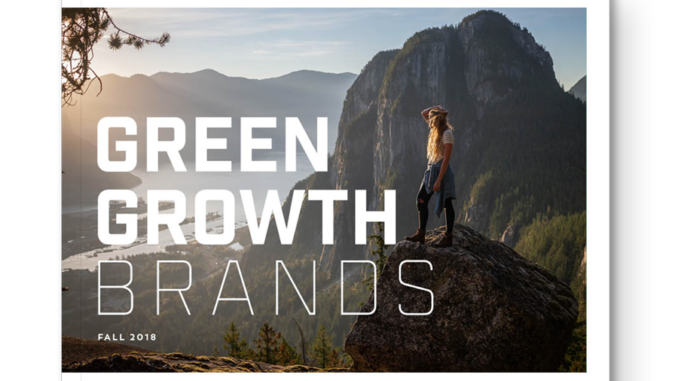 The bid in question has been (kind of…) advanced by Green Growth Brands (CSE:GGB). It came seemingly out of nowhere, and both management and the shareholder base wasted no time calling it opportunistic. 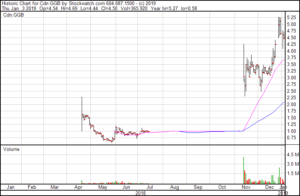 So far, the company hasn’t issued a formal offer, just a press release on Dec. 27 that outlines their intention to make one at a valuation greater than their share price. The announcement envisions a $300M concurrent raise, which would surely be possible if there was any momentum at all behind a proposed takeover of a financially healthy, operating cannabis company. It’s the friendliest press release about a prospective hostile bid you’ll ever see. They even want to keep management. As previously unknown Xanthic Biopharma Green Growth Brands’ stock shot from $3 to $5 ahead of the release, it’s hard not to admire the balls of the whole thing. They started talking about an offer valuing their own stock at a 20% bump… and GOT THE BUMP. 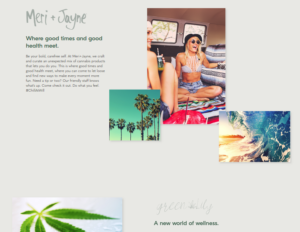 GGB presents a strong leading edge, with a pro web presence that features both the recognized clothing and retail brands that the founders helped build, and some fresh looking cannabis brands that they plan to build. They’re in the middle of putting on a media relations clinic that has them built up to a market cap near $800M, being treated seriously as a takeover candidate for APHA… despite having published a total of one (1) financial statement that showed a book value of $59 million, with $1.5 million in cash. What are we even looking at, here? Xanthic came into existence in December of 2017, via RTO of Aurquest Resources. The issue floated the water-soluble cannabis idea that was popular during the heady spring of 2018, before just coasting along without relevance or volume. 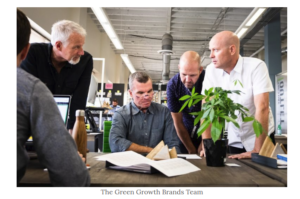 Green Growth Brands started appearing in their press releases as a backer in September of this year, when they fronted Xanthic $56.75 million to buy a controlling interest in Nevada Organic Remedies LLC – which appears to be the core grower and dispensary behind the company’s Nevada ops. That $57 million and the businesses that it bought represent most of the value in this company. The loan has now been converted to stock, the name changed, and this thing is ready to put itself in pole position for the race to become part of the US national cannabis landscape when they drop the green flag. A $778M market cap at close of business today, we put them in 2nd place among CSE listings with US operations. Cresco Labs (CSE:CL) is first at $2.4B. We set out ready to call this a stunt and, on more than one level, it absolutely is a stunt. GGB is showing a solid, sustained valuation in a market where it’s one of very few charts pointed the right way. Moreover, they’ve built themselves a prime spot in the sector’s discussion and converted that attention with a great leading edge, and they’ve done it for the cost of a press release. By that measure, they’ve already stuck the landing. But as the attention builds and the discussion continues… why stop the show? They clearly take themselves seriously, and the market loves to follow a leader. The baseline price for these types of companies hasn’t been set yet, so there’s no sense trying to buy this for a trade. But as a long-term strategy, GGB gives us the two things we think are relevant at the moment 1) US operations whose capacity to expand isn’t yet fully appreciated and, 2) an IR crew with experience and reach. Frankly, the discount that we’re looking for from item 1) has been eaten up by item 2) showing us they know what they’re doing. We get the sense out of the chatter that buyers are dreaming on a narrative that uses the word “brand” as a verb, noun, and adjective. We’ve written previously about how handicapping a consumer brand is a fool’s errand, but can’t fault any promoter who gives the people what they want. Sales is important, but it’s having their own production that gives them the means to create margin. There’s a reason they’re after Aphria, who never buys wholesale and leaves no doubt about their core operation’s ability to churn out product. 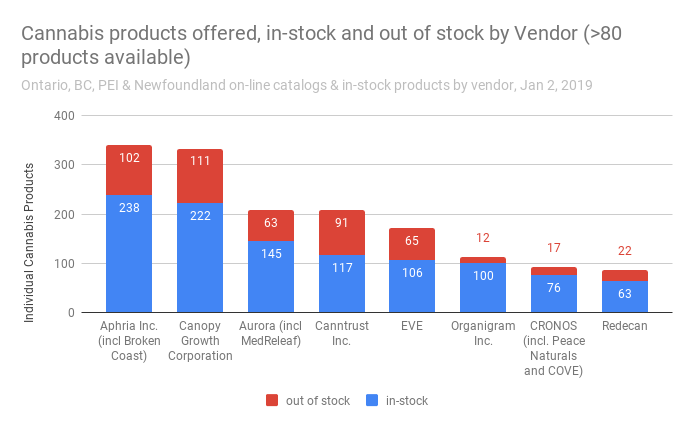 Aphria kept its lead in the latest sampling of provincial e-dispensaries. The APH C-suite isn’t out of the woods yet, and are probably pretty mad to have been in them in the first place. Here they were, building a company that, by our metric, is the tightest and most efficient cannabis producer outside Tilray. They were the heads’ favorites, darlings of pro and amateur analysts alike. It was easy to make a cannabis growth pick that was big, but not the biggest, with the access afforded by a US listing, and the kind of fundamentals that made them a neat company to chat up. The street loved them and wanted to believe. Then some short-seller puts out a report named after a disaster that makes it out like having a few shares in companies that they bought at an inflated valuation is a big deal or something! The idea that the assets APH bought were worth $245 million worth of stock isn’t even that hard to sell. Sure, it’s a lot. But potco longs are inclined to believe in inflated value now, and hpyer-inflated value later. It wasn’t that they paid too much, it was that they were the only ones invited to the foundation party. If APH’s management can put together valuable pot assets on the cheap, shareholders would prefer they sent teams down there to do it on their behalf. It would certainly look a lot better than doing it themselves through some Florida shell factory, then using the treasury to cook themselves up an exit transaction. Announcing the release date ahead of the earnings projects a confidence in the strength of the earnings themselves. APH management is ready to take whatever they’ve got into one of the choppiest equities markets we’ve ever seen, and show everyone that a GGB combination is interesting… but not at this price. Featured image is the cover of GGB’s IR deck, but could easily be mistaken for the cover of a fall fashion catalog. 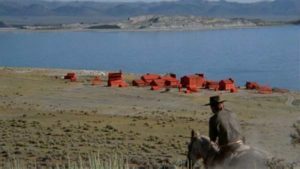 Shot of The Man with No Name, riding into town in High Planes Drifter courtesy Cross The Netflix Streams.